This is a rich and plump wine from a great vintage, with the structure of grapes grown in great sites and complexity of careful raising in the cellar to age nicely for a decade at least. The wine’s nearly opaque purple-ruby color foretells the aroma’s depth of dark fruit, oak spice and tobacco notes. The aroma opens to show berries, cherries and plums with hints of pomegranate and smoke. In the mouth the wine starts with richness and silk underlain by a powerful base of concentrated ripe tannins and just the right balancing acidity. The ripe fruit flavors are beautifully wound with subtle toast, smoke and spice from French oak barrels. 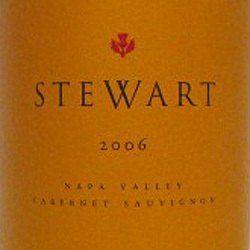 There is an impression of dark tobacco leaf and cedar mixed with the black fruit in the long, fleshy finish. The lingering grip of the wine’s structure will slowly resolve to velvet with time in the bottle.